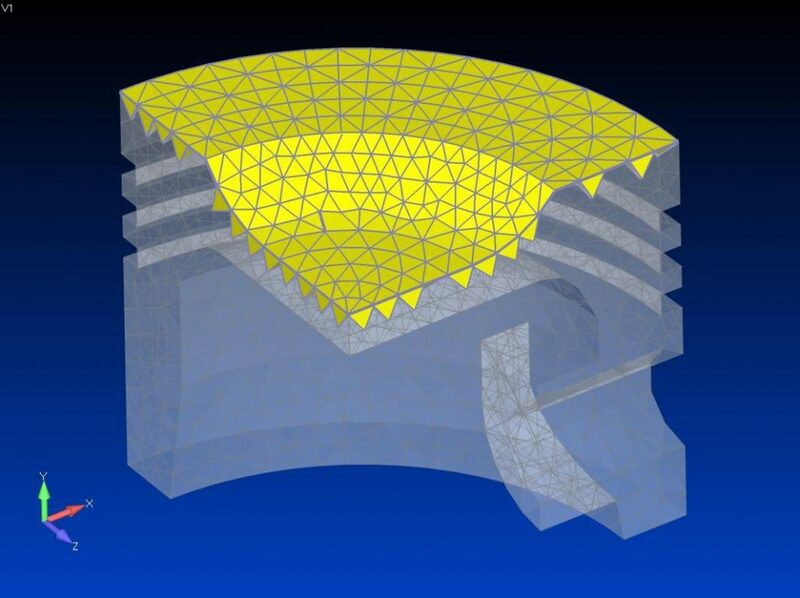 Sometimes in the absence of any underlying geometry, finite element selection can become challenging. Femap includes many capabilities that can aid element selection, and in this example we’ll see how to create a group by selecting a number of elements that have adjacent faces. When selecting the elements in the Entity Selection dialog, click on the Pick ^ button, and select By Faces… and a second Entity Selection dialog appears. Here you need to select the general group of elements that includes the subset of elements you eventually want to end up with. In this case we can Select All and click OK. In the subsequent Face Selection dialog, select the Adjacent Faces radio button, and pick one of the element faces in the model, then click OK.
Now back in the first Entity Selection dialog, we can highlight the selected elements using the Highlight icon button. In this example all of the elements of the top face have been selected up to a corner in the model, and we actually want to select all of the top surfaces. So we can Cancel out of the operation and repeat the above steps to get back to the Face Selection dialog. 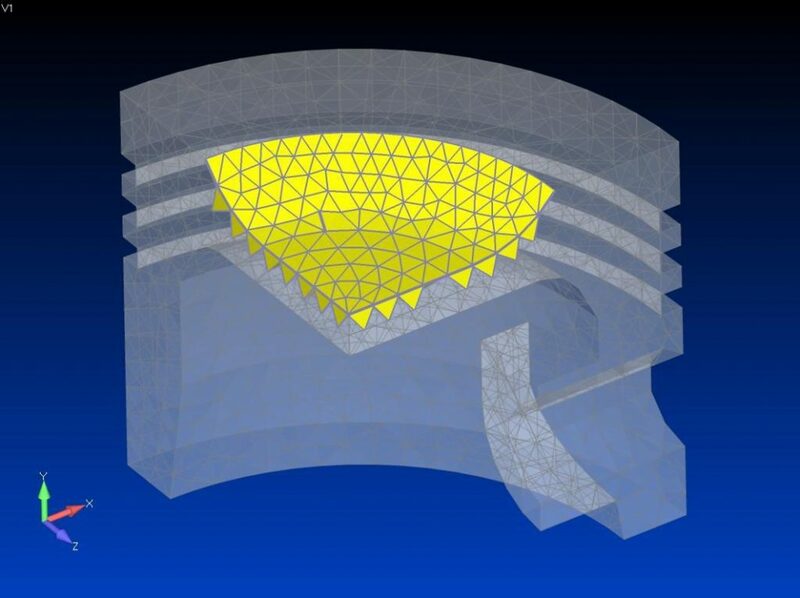 The Face Selection dialog contains an angle tolerance that controls what Femap considers to be the adjacent element plane from element to element. The default is 20.0 degrees, and by increasing this tolerance we allow Femap to include elements around less acute angles in the model. A setting of 80.0 should suffice for this example. Click OK and Highlight the selection once again in the first Entity Selection dialog, and now we see that all of the desired elements have been captured in the selection.